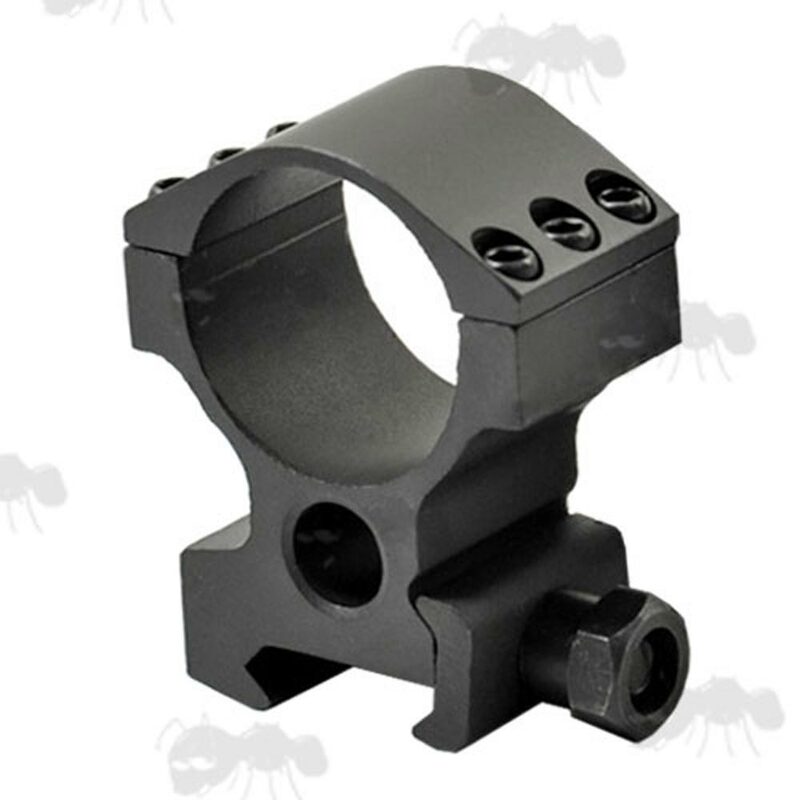 Precision machined high grade construction mount with a matte black finish. Overall height 42mm, width 44mm, thickness 25mm. Overall height 50mm, width 44mm, thickness 25mm. 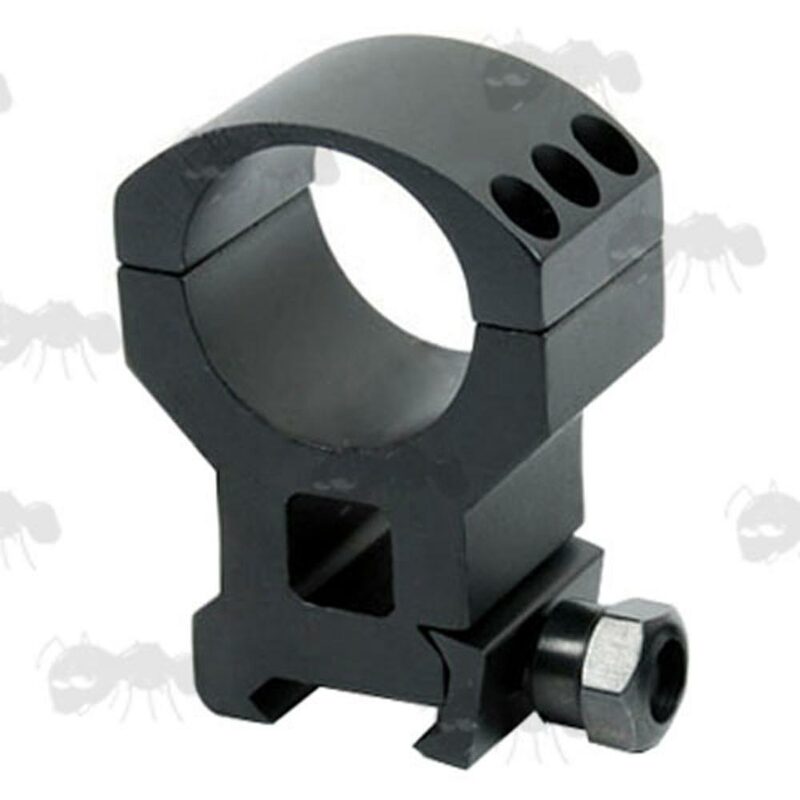 Overall height 56mm, width 44mm, thickness 23mm. 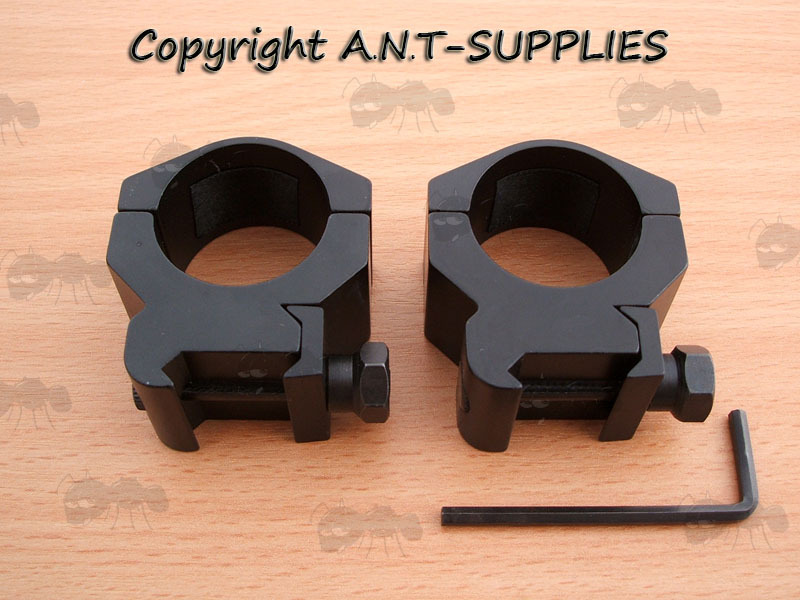 Overall height 62mm, width 44mm, thickness 25mm. Please note; You can either purchase one individual mount or a pair. For 1 3/16 inch / 30mm tubes. Heavy-duty triple clamped mount with heavy-duty hex bolt clamp. Aluminium alloy construction with a matte black finish. 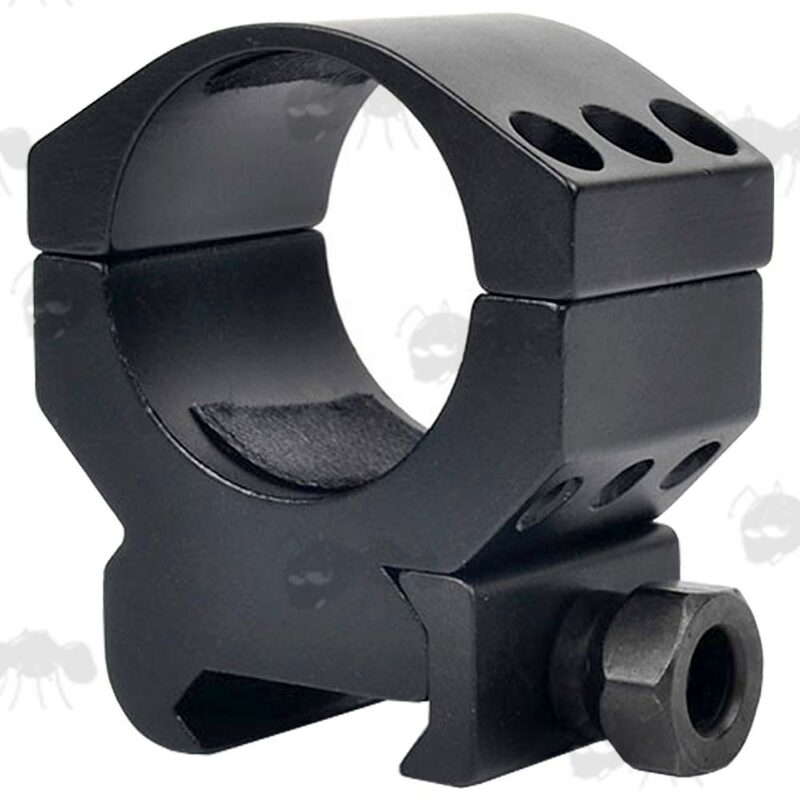 The medium and high profiles have a see-through design to still allow the use of iron sights. 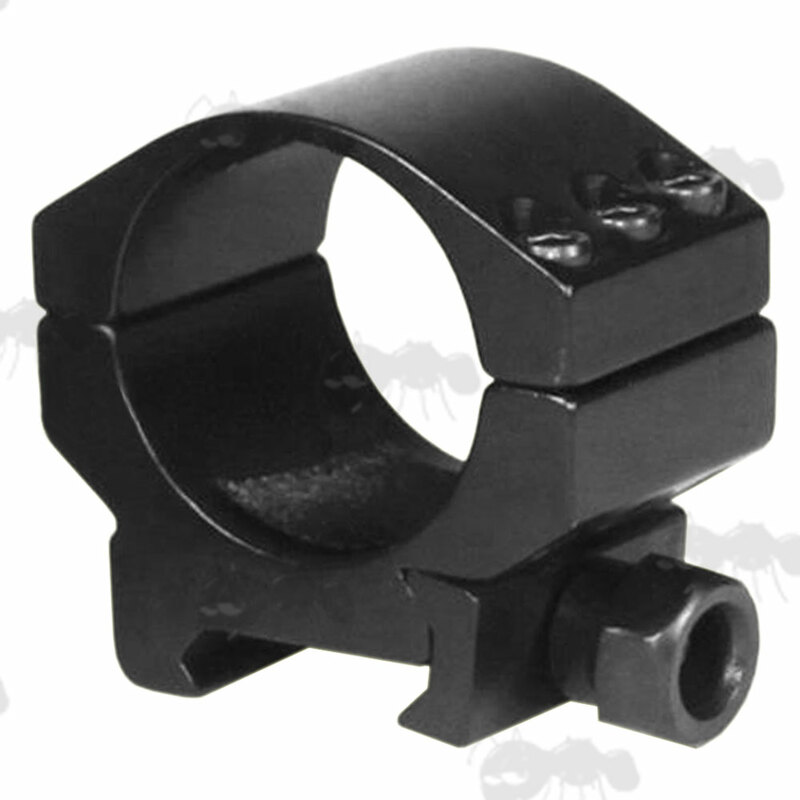 A similar version double clamped scope mount is also available.